We’re in bubble trouble. I’ve seen people not even looking up from their bubbles to see what’s in front of them. They’re going to crash into something. I didn’t go anywhere this weekend. I was caught inside a bubble. I used to have a personal pocket bubble, but I got rid of it. It was too costly, and I didn’t like the person I was becoming. Cut off from the world, my surroundings, my heart and breath. Occasionally, someone will look up from their bubble to say something, only to find their companion bent over their bubble. So they go back to their bubble. Their souls cannot touch behind a bubble. There are families of bubbles. Big bubbles, medium bubbles, little bubbles. We’ll find the bubble that is just right for us, and fall asleep inside them. The world goes on with or without us. 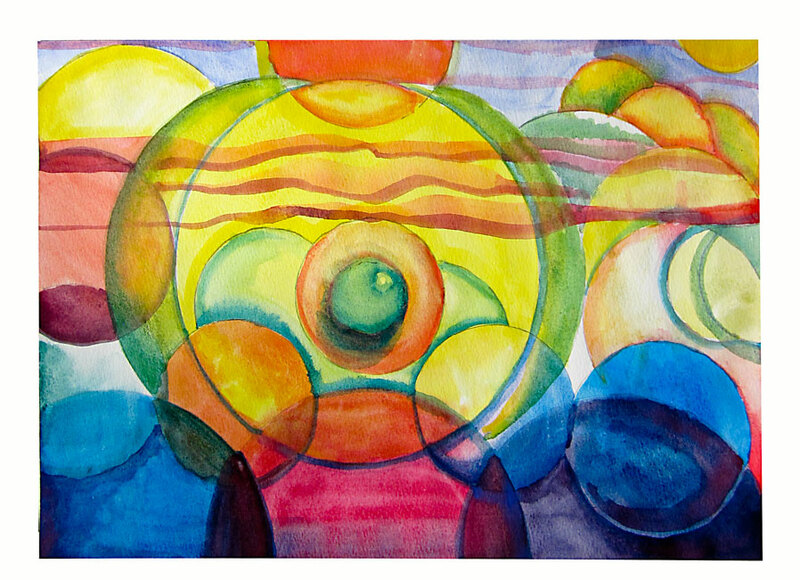 This entry was posted in Art, paintings and tagged Art, bubble, numbness, painting, postmodernism, sociology, technology, watercolor by selina. Bookmark the permalink.